Children aged 2-Kindergarten in our nursery division will experience a home away from home. Our smallest children are encouraged to be themselves in an incredibly warm and nurturing atmosphere. There is nothing as wonderful as their smiling and spirited faces when they come right off those morning buses on the way to a new and exciting day with their counselors and their new and old buddies! Our goal is that they adjust easily and comfortably to life at Summer Day on a safe and secure campus. Our nursery children may be small in size, but their opportunities here are comparable to those children who are returning for their 8th or 9th summer. Our American Red Cross Swim Program begins with them and is exceptional. They participate not only in traditional athletic offerings, but studio art (Kreative Kids) twice a week, music, dance, yoga, computer, karate, story time, cooking, science & nature, "build it", and foreign language through songs and games! 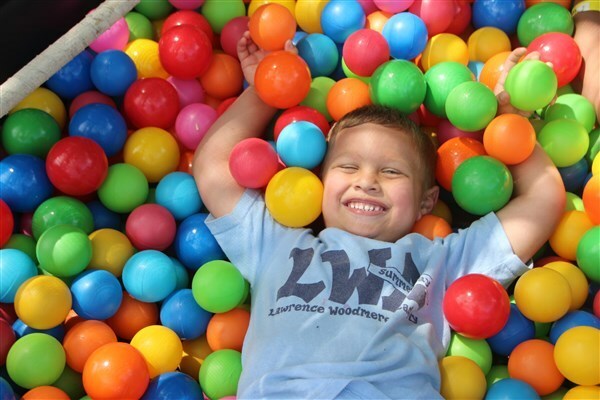 Perhaps the most important part of their program is that we are mindful of their age, attentiveness, physical and emotional needs and with that in mind, create a summer that is just plain FUN!